Our platforms, and their limitations, are changing the way we communicate. Rather than accommodating the many ways we as humans like to share and engage with others, most of the online services we use have limits in how much we can share, how items can be staged, and how easily others can discover or respond. While Twitter's 140 character platform is only the most well-known of these hard limits, there is an easily observable trend away from long-form content, analysis and conversation, and more toward a brief moment with an ephemeral interaction. Blogs are one of the last outlets we have where the container, like liquid, expands to contain all into it which is poured, while most other outlets are often trying to make us something we're not - be it photographers, clever headline writers or meme artists. We've moved away from thousand-plus word screeds and dozens of debatable comments over a single item, with a permalink discoverable through search, instead to a moment in a stream that is significantly less relevant tomorrow or next week than it is today. We're valuing our content not in real activity, but in microactivities - be it +1s, Likes, Retweets or Favorites. We're trading points and counterpoints for vague notions of follower counts and popularity. While it can be a challenge to regularly upkeep an outlet like a blog or a news magazine, consider the permanence and discoverability of this content. One can, with a little effort, read an author's life as it changes, by poring through the archives. Authors can link to previous points and positions to make a deeper case for an idea, and show consistency or evolution of thought. And permalinks can serve as the point of engagement for us to talk something into the ground, or its natural conclusion - whatever comes first. Consider, if you would, the last really important Tweet or Facebook post or LinkedIn update that you either made or saw. Where would that Tweet stand in the halls of history? While real-time is an amazing tool for the right now, it's not usually a great tool for the later or forever. There's no other solution out there for diving into the world's collective thoughts around television, sports and shared experiences, but it lacks for completeness. Yet that's where practically all our effort is going. The most visible entrants and quickly adopted mediums in the social sphere over the last few years are not centered around long-form content. Instagram, for the most part, is a photo sharing site with social interaction. Tumblr, despite the option for longer-form content, is usually a collection of photos or short excerpts -- links to links with the content on the other side. WhatsApp and Snapchat are different beasts altogether, focused on the right now, with the content never intended to have any true longevity. So our thoughts and our communications are being forced into these neatly approved buckets, wrapping around the presentation of the medium. If you know your network looks best with a headline, a few hashtags, and a sentence, that's all you'll do. If you know it's a beautiful photo with three words at the top, that's what you'll do. Maybe you can make an infographic or a meme out of it and be the most shared image of the moment, only to fade into oblivion the next day. That's why I'm optimistic about the plans for Ev Williams' work on Medium, as outlined in a dedicated piece for TechCrunch two weeks ago. We've also seen interesting attempts from Dustin Curtis' Svbtle network - a very well designed platform with hand-selected authors. 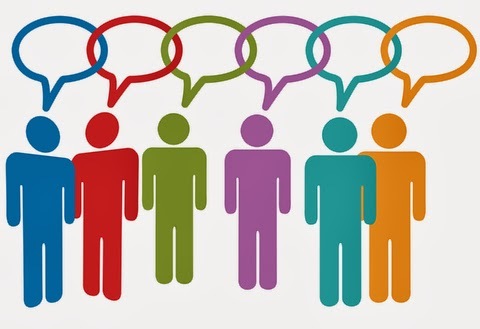 I don't yet have accounts with either, as I'm quite loyal to my +Blogger platform and integrated Google+ comments, but both services seem to be fighting against the stream, so to speak, helping people with longer thoughts share in a better looking way. I believe as social participants, we can and should do better than a picture with a few words, a tweet that summarizes a link, or a post with a headline and a paragraph. It may satisfy the right now, short attention span theater, but if that's all we have, then what do we tell history that we've done? Do we suggest that those in the future looking back on this age download our archived social stream to best understand who we were? Should they grok our automatically filtered photos and understand our taste for art, or see how many likes a post got to determine its impact? I would hope we're not letting the containers impact our ability to share the entirety of the message. That's why even while I've got plenty of other work to do, the blog continues to be my foundation in a world of streams, which I first wrote more than four years ago and stand by. So if your favorite social outlet starts to reduce the number of ways you can express yourself, take it somewhere else. Don't cut yourself short, and become dust in the wind. Usual boring disclosures: I work at Google on Developer Relations. Most of my work is on YouTube videos, short and long. This blog runs on Blogger and integrates Google+ comments. The post is not intended as a post in favor of or against our products or competitors' products. I also like writing long disclosures. For all our talk about how much information is produced every year, and how every little piece of our lives is being shared and instantly discoverable, it is surprising how difficult it can be to find information on the Web, in its original state from just five years ago, let alone ten or fifteen. While we were once regaled with stories of how the Internet could withstand nuclear war, thanks to a complicated structure of redundancy and geographical backups, simple human mistakes, conflated with the occasional act of malice, have reduced our expectation that data, once posted, will be forever stable. I believe strongly in the concept of the cloud, and have moved practically all my data to it, relying on a cloud-centric laptop each day and saving my files in the cloud. But not everyone is as careful about selecting providers and maintaining platforms and domains as I have been, and it's not too uncommon for entire sites and bookmarks to vanish from the Web, with only Archive.org and other clever cachers left to tell the tale. Before this sounds like a sordid tale or anti-Web screed from someone embedded in the Web, let me give you a specific example. Imagine, if you would, a unique URL pointing back to the original dotcom boom - a simple one like .com.com. No, I didn't type it twice. The domain com.com has long been owned by CNET, part of CBS Interactive. While CNET has undergone a number of owners over the decades since its launch, it's also seen extreme variance in how they marketed their main site and URLs. For those of us who just wanted the news, it was News.com. 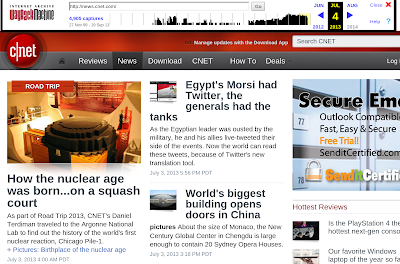 Later News.com would redirect to News.Cnet.com, as it does today. But at one point, News.com redirected to News.com.com, and for whatever reason, that's the bookmark I've had follow me from browser to browser for years. Suddenly, a couple months ago, this bookmark stopped working, instead showing me a directory of links, which looked like a squatter had seized the URL and taken it over. Archive.org shows the same. News.com.com worked and then in July... it stopped redirecting. So that's annoying. While it's simple enough for me to update my bookmark, and no doubt I'm in the small minority of users who kept that URL, to have a potentially high profile URL like .com.com do absolutely nothing ... seems foolish. Enough about .com.com. What's just as frustrating at times is the short shelf life for links and images from years past. My own blog has been around a little over seven years, and in the 3,000 or so posts I've made since start, each one has had many links. As companies come and go, their websites and the links to their subpages go away. News media sites, which one would hope would present a timeless archive, a long tail of information to the truth seekers out there, are often the worst offenders, as articles of a certain date fall behind a paywall, or site platforms change, forever hijacking link structure and rendering previous links inept. One of the biggest regrets I have, as far as the web is concerned is one that +Ryan Tate (now with +WIRED) and I share. In the Web's more prehistoric times, back in the late 1990s, he and I both worked at the Daily Californian student newspaper at +UC Berkeley. Both of us wrote hundreds of news stories, covering everything from student elections to campus crazies and the occasional homicide. But at one point, after I'd left the paper, our site was hacked/corrupted, and all the existing content was lost - shockingly without backup. So more than 99% of that data is gone for good, and one will either have to travel to the Berkeley campus and pick up a hardbound paper to see our work, or it's just gone. While few of my stories are worth reading about 15 years later, they are part of my own personal (and work) history which has little record. From writing on actual death to link death... while CNET's link lapse with .com.com is a surprise, it could possibly be due to a sale, to be used by an unknown acquirer, or simple neglect. Worse is when one sees links automatically shortened, only for the URL shortener to disappear, or for the hosting service to invalidate other short links. While I've made my case for URLs to look good and be intuitive, we've gotten used to seeing smaller URLs, best exemplified by the t.co from Twitter, helpful on their service, along with goo.gl from Google, bit.ly, and others. But by buying into a short URL service, you require it to be maintained by the original owners and all the tables being intact. So for those of us who long shared with ff.im from FriendFeed, it is by the grace of Facebook that those old things are still around, and practically nobody would be surprised if they went the way of the dodo in the next couple years. 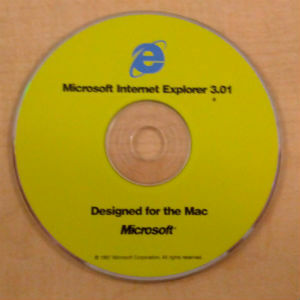 My argument is that the Web should be built for permanence. A link I post today should be a link that works later. A permalink to a dedicated page with content should produce that same content, even if the surrounding frame has been upgraded, in the future. And short links and domains should behave in a trustworthy, user friendly manner. 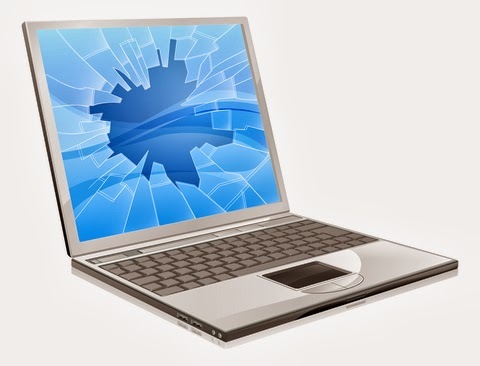 It would be a minor tragedy if the start page you use daily suddenly became something else, and a larger one if the domain on which you host your personal stories simply closed shop because the host didn't find it financially feasible to keep going any more. So while the magic of the Web is real, and it sometimes does seem you can practically find anything out there and get it instantly, assuming speedy broadband, the gaps have me thinking we can do better. And yeah +CNET, what's up? Longtime blog readers and social connections know that for years, one of my most fulfilling actions on the Web has been the ability to act as a human filter, passing through hundreds of feeds a day and sharing the best with you, with Google Reader as my workbench, and my shared items being my finished product. With a simple share, followers within Reader, but also those subscribed on FriendFeed, Google Buzz and Twitter, could see my hand-selected picks. When Google Reader changed its sharing model back in October 2011, not to mention the general demise of most aggregators, this stream came to something of a stop. Reading feeds became a solitary act, and with Reader now retired, one could easily expect the old way of sharing was gone for good. But with a cobbling together of a few products, and thankfully, the continued support for standards like RSS, I was able to reboot the "LG Stream", as friend +Thomas Power has long referred to it, and you can once again subscribe to follow the posts I pick from my journey on the Web, getting a hand-curated selection from the land of tech blogs and beyond. And again, you can follow the stream in your favorite RSS reader or on Twitter. In a post Google Reader world, here's how it works, and how you can do the same, should you be interested. First, I, like many others, moved my RSS feeds (via OPML) to Feedly. I've had a more than five year relationship with Feedly and the team behind it, and have found it quite useful, with the same familiar keyboard shortcuts I liked in Reader, and a fast interface. Second, I created a Pocket account to essentially bookmark the top stories I found as they happened. This can be both through the built-in integration Pocket has with Feedly Pro, which I purchased, or through the Chrome Extension. 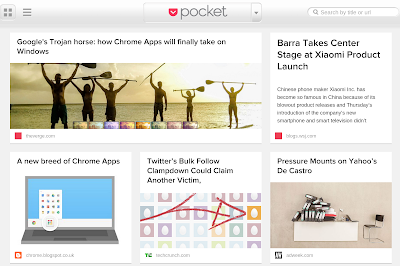 Given I use ChromeOS all day, I've got Pocket a click away all day. Feeding my LG Stream to Twitter is Twitterfeed. 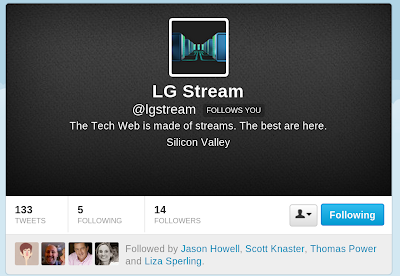 Fourth, I took that RSS feed, and connected it to Twitterfeed, and told Twitterfeed to regularly poll the feed for updates, and push new items to Twitter at my new account, at @lgstream. Practically the only downside is the non immediacy of posts being shared with Twitter, as Twitterfeed defaults to updating every thirty minutes. This can mean that it sends updates in batches of 2 or 4 or however many new items I've Pocketed in the last half hour, corresponding, typically, with my last sync-up with Feedly. But as with Google Reader's shared items, the delivery of the human filtered stream is there. The LG Stream... It's Back. For those who don't know my filtering behavior, my goal's not to push any corporate agenda, and my biases are clear. Compared to popular aggregators, I won't be sharing rumors and spy pics and salacious gossip. I especially don't plan on sharing rumors about Google, and confusing everyone who might thing my share implies endorsement or confirmation. That'd be a bad idea, obviously. But what you will find is the top 1% of items that flow through what I see, and what I find interesting - a mix of tech innovation, news, social best practices, and thought leadership. My bias is intrigue and quality. For years, in the Google Reader days, I heard people say they didn't have the time to read through all their feeds, but they always read those I shared. 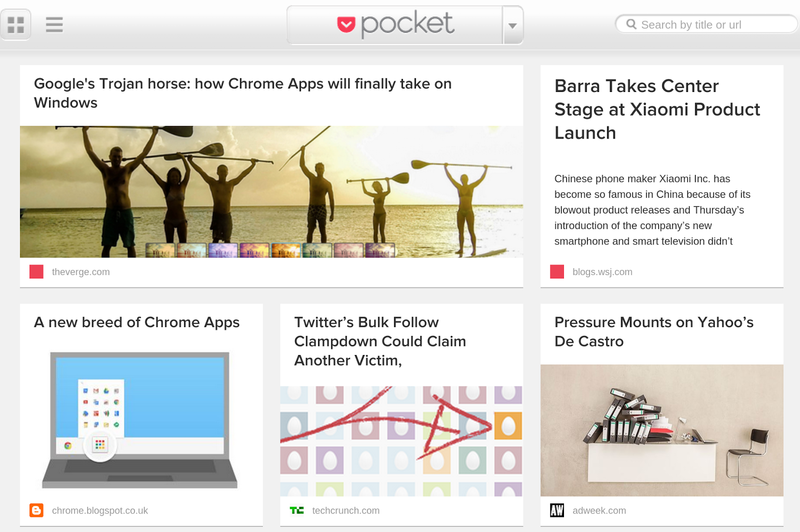 So we're back, thanks to Feedly, Pocket, FeedBurner and Twitterfeed. You can subscribe to the new LG Stream on RSS or via Twitter. And for those asking about Google+ integration, the service doesn't support feed imports, so there is not yet an equivalent. Usual Boring Disclosures: I work at Google on Developer Relations. That may or may not, and probably doesn't impact, any of my comments related to real or perceived competition or partners for any of our products and services. With today's focus on realtime systems and 24 hour news cycles, trending topics and viral videos, our collective attention span seems to be shrinking. The news of the morning is not news of the evening. Yesterday's news is old news. Yesterday's celebrities and entertainment are forgettable and mockworthy. And today's technology might be obsolete by the time you buy it, eclipsed by a competing offering introduced as you drove home from the computer store, or while Amazon Prime shipped it to your home, while you tracked its every stop by email. So woe be unto the companies and achievements of yesteryear, who once held lofty positions in business, made headlines with their every rumor or news leak, and broke the rules on the way to setting records. For once their time has past, proud memories rapidly decay in a world that focuses on the new shiny thing and casts them out as no longer being relevant. It's easy to say that those who forget the past are doomed to repeat it, and yet even with tremendous tools like the Internet, resources like Wikipedia and Archive.org, onetime tech titans are rapidly shoved aside as dinosaurs, as younger people enter the job market and participate alongside more traveled veterans in Silicon Valley and beyond. Even those of us who've spent just a decade or more in cubicles and offices have seen pioneers like Sun Microsystems, Silicon Graphics (SGI), Netscape, 3Com, Palm and others fade into the electronics landfill in the sky. While just years ago, it seemed you could throw a rock from any exit on highway 101 and hit a Sun building, the once-proud company is all but gone, a speck within acquirer Oracle. Netscape's immolation by Microsoft and AOL, each in their own way, passed the torch to Mozilla and others, and nary a plaque in Mountain View marks their spot. My own employer, Google, inhabits a number of buildings acquired in slightly used condition, be it from Adobe, or the aforementioned SGI and Sun. The main campus, in fact, used to be that of SGI, and the corporate colors seen in SGI's hardware mark the buildings of the Googleplex, with little modification. This land grab started only in 2003, at a time when Google was a mere 800 employees, and SGI was in one of their many phases of trying to keep expenses in line with revenue, seeing the abandonment of their splashy campus as one way to take down costs. Now SGI, having seen many corporate transformations since, is still around, but has little ties to its original makeup. While 2003 is "not that long ago" to someone like me in their mid to late 30's, it's quite a long time ago for those just entering the workforce. I turned to a new colleague of mine early this year, she having just graduated from college, and asked if she didn't mind a little word association. I started with SGI. No recognition. I then asked about Sun. Again, nothing, even though we were standing in one of their old buildings. I then turned to the previous generation of search engines, starting with Lycos, moving to Excite and Alta Vista. Finally, she offered up, "Was that like Ask Jeeves?" Only slightly alarmed, but also amused, I tried another colleague, starting the word association with Sun. "Java?" she said, getting partial credit. I asked, "Anything else?" remembering the "dot in dot com", "the network is the computer" and all the enterprise work that once made Sun one of the four horsemen of the Internet, in addition to Microsoft, Oracle and EMC, if you kept your TV tuned to CNBC in the heady bubble days. Nothing else. Further sparring with names like SGI and a bevy of Web 1.0 darlings similarly went absolutely nowhere. Even if we look just in the past two years, you can see the fast rise and fade of companies, as the Web rapidly chooses winners and spits out their less favorite. MySpace flew too close to the sun and torched its wings like Icarus. Formspring was once a Internet doll and collapsed. Slashdot and Digg faded to shadows of themselves as Reddit and others rose. And big companies are not immune, as you can see with Kodak filing bankruptcy and emerging as something completely unrecognizable. HP has itself struggled with round after round of layoffs and a curious future. Meanwhile, if you believe some circles, there are four new horsemen, this time with Google, Apple, Amazon and Facebook being large players on the Web, with a number of exciting companies playing significant roles in hardware or specialized industries, be it Tesla Motors, Yelp, VMware or Samsung, and established titans like Yahoo!, eBay and AOL repositioning themselves as something new. But holding that position is not guaranteed long term or even short term, as companies must adapt and lead, rather than getting too comfortable. Change is inevitable, with big picture trends like the Web, the flight to mobile, and increased attention on social and mobile connections making some companies winners and others who miss those opportunites as big losers. Sometimes, a lack of adaptation and innovation can start companies on a negative momentum shift so swift they can never recover. That's business. But it's intriguingly interesting to me how as big life changing events like the dot com rise and crash or the 9/11 attacks fade into something like history, we also forget the companies associated with such a time. The technologies we use every day were often invented and promoted by people who've passed on and companies that have their own epitaphs. Business plans celebrated and funded by the latest incubators are ones that may have launched and failed with different names and similar ideas just a decade ago. But I'd argue that blazing straight ahead without a knowledge of what's happened before you is dangerous, to both your sanity and your business plan. I am fascinated by Silicon Valley history and have been for the better part of two decades. I fear that the tools we use now provide exceptional access to what's happening today, but do so without context, and to press forward with blinders to the past can only promise that we make the same mistakes that made these once bright companies ghosts of what they once were, if not gone entirely. History can be dull, yes. But it can also be fascinating. The present, at least most of it, is guaranteed to be similarly forgettable. Maybe instead of documenting our own minutiae, we can empower ourselves with knowledge of one time titans.